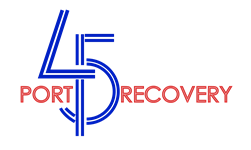 Port 45 Recovery is dedicated in loving memory of Wes Workman, an 18 year old student and athlete, who took his own life under the influence of drugs and alcohol. Despite a loving personality and exceptional athletic talent, Wes succumbed to his addiction, leaving his Mother Jo Anna Krohn to pick up the pieces. Jo Anna has made it her mission to help others like Wes who feel trapped or helpless under the stressors of day-to-day life. After her son’s death, she devoted herself to the community, founding grief support groups throughout Ohio. Seeing such a desperate need for support, Jo Anna recognized that one person could only do so much to help those suffering from substance abuse and addiction. To address such widespread need, Jo Anna founded Port 45 as a state-certified, outpatient treatment facility, bringing together skilled professionals who felt the same passion for empathy and community involvement. When it came time to pick a name for the newly-founded organization, the choice was simple: Wes’ Jersey number from his All-State Football days. Portsmouth High School, #45. Jo Anna is proud to see Port 45 Recovery flourish and grow. She’s proud to see the community come together and support those struggling with substance abuse. But most of all, she’s proud of the successes of her patients. “I get to come to work and see all the people that are healthy. They came to us broken and in need of help, and now they’re smiling and rebuilding their lives!” These success stories inspire the skilled professionals at Port 45 Recovery, and they continue their mission to create a substance abuse-free community here in Ohio.